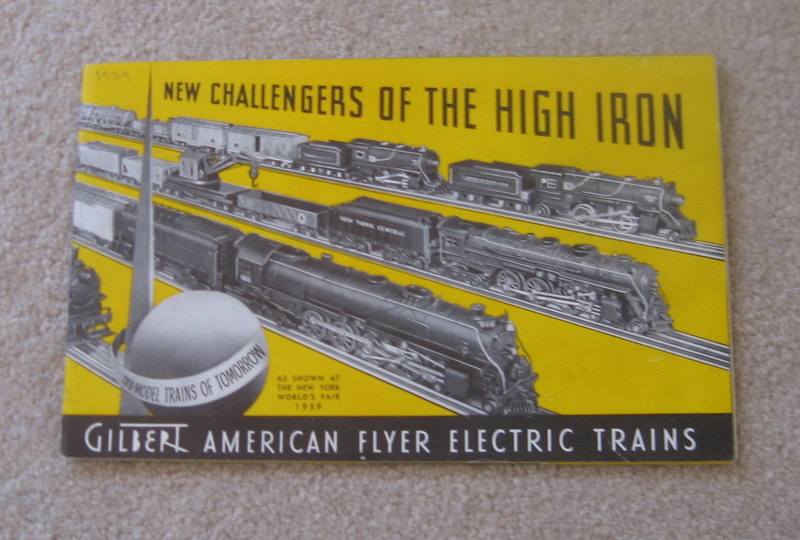 1939 Gilbert American Flyer Catalog (D1311) Excellent Condition - $50.00 : Olson Hobbies, Welcome To The Train Page! 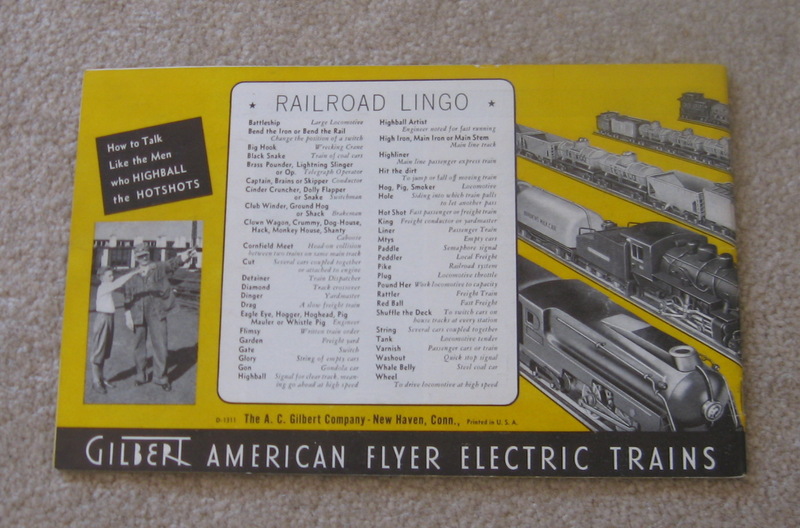 1939 Gilbert American FlyerConsumer Catalog. D1311. Some of the items listed in this catalog are the set no. 308 freight train with no. 424 remote control locomotive and tender; 407 Sand car, with 408 box car with sliding doors; no. 412 milk car; 411 illuminated caboose. Also shown is the 591 Crossing Gate with Watchman's Shack Accessory. Date written on upper left hand corner front cover.